From left to right, I received Tip Top Miraculous Results! Nail Build, Nail Addict by Tip Top Baby Cheeks, Tip Top Nail Chic Pink Lady, Nail Addict by Tip Top Kingfisher, and Tip Top Quick Dry top coat. Today I’ll be showing you swatches of the 3 colours along with some comparisons to other colours. First up is Baby Cheeks. Even though I could clearly see that I didn’t have any dupes for it, I decided to do a comparison with the most similar colours I have. 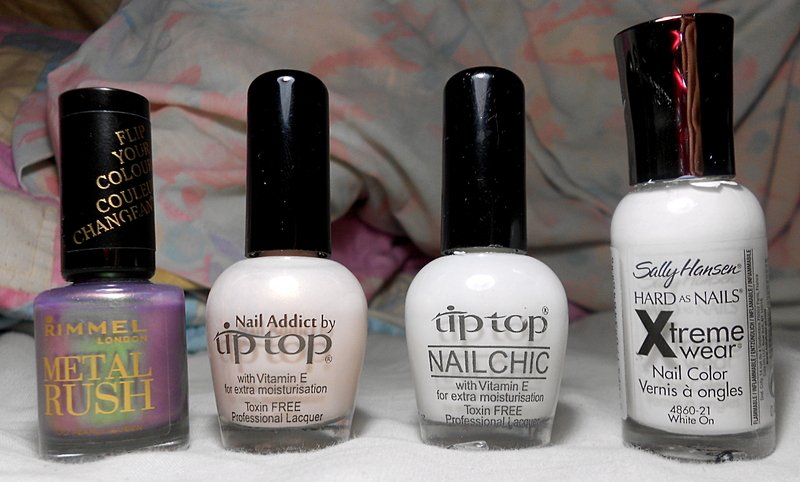 Here’s the bottle shot: Rimmel Metal Rush – Pearly Queen; Nail Addict by Tip Top – Baby Cheeks; Tip Top Nail Chic – Cream Puff; and Sally Hansen Hard as Nails Xtreme Wear – White On. I’ve shown Baby Cheeks (3 coats) on my thumb and middle finger, with Pearly Queen (3 coats) on my index, Cream Puff (3 coats) on my ring finger, and White On (3 coats, although 2 would probably be fine) on my pinkie. 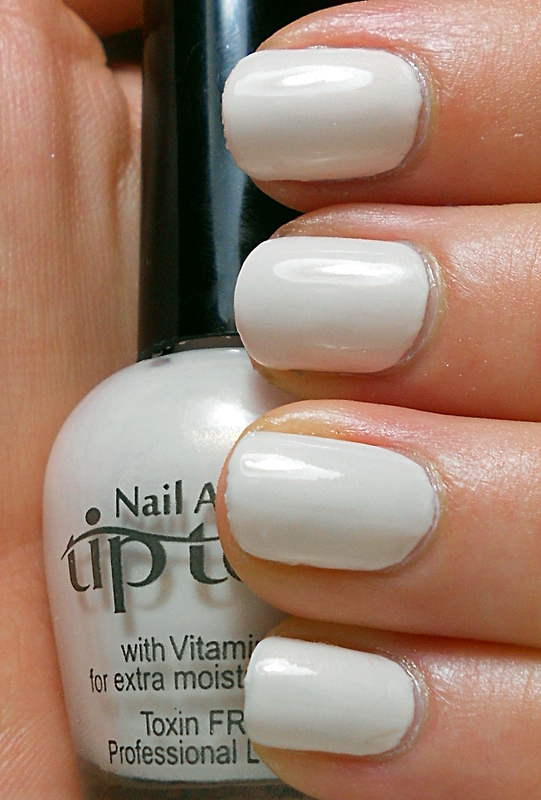 Baby Cheeks is the most neutral polish with its pale almond hue. The closest match is Cream Puff, but Cream Puff is more of a soft white rather than a neutral. White On is a starker, harder white. Pearly Queen has a completely different look, like mother-of-pearl. Pearly Queen is the one I’d be most likely to wear alone, but I can see how Baby Cheeks can look really classy and of course, it’s safe for work if that’s what you need. 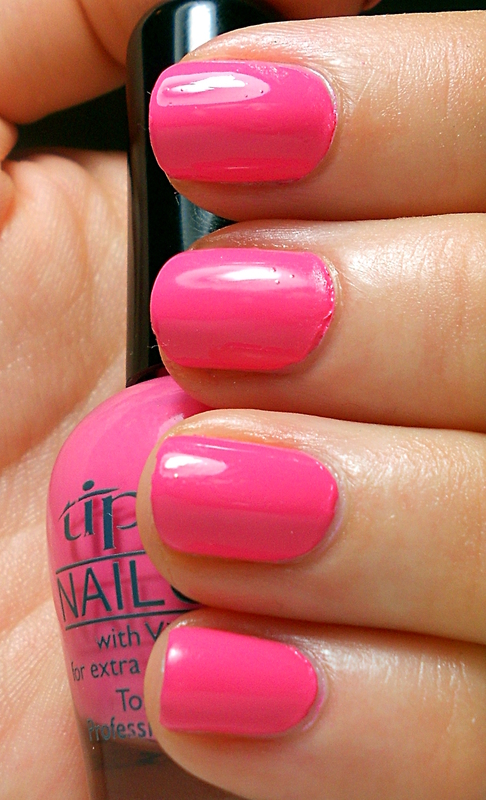 Next up is Tip Top Nail Chic in Pink Lady: As you can see, it’s a bright, vivid pink. I am not the hugest fan of pink in general – although I think it can be really pretty – but I did think this was a really fun colour. I’ve shown 3 coats. 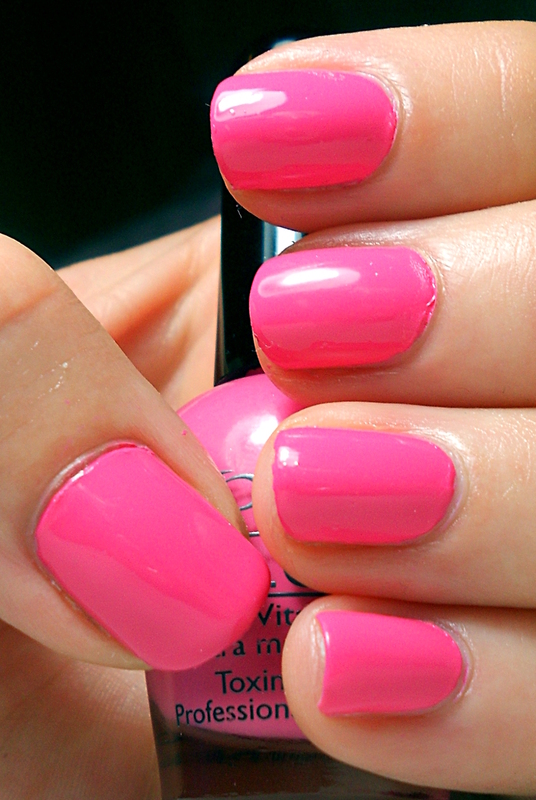 With summer on its way here in South Africa, you can’t go wrong with a happy shade like this! Again, I did a comparison with (all) the other pinks I had. All of them are from Tip Top Nail Chic. From left to right, they are Flamenco Pink, Sherbet Angel, Pink Lady, Sitting Pretty, and Pot-O-Berries. I have Flamenco Pink (2 coats) on my thumb, Sherbet Angel (2 coats) on my index finger, Pink Lady (3 coats) on my middle finger, Sitting Pretty (2 coats) on my ring finger and Pot-O-Berries (2 coats) on my pinkie. Once again, as you can see, each polish is unique. 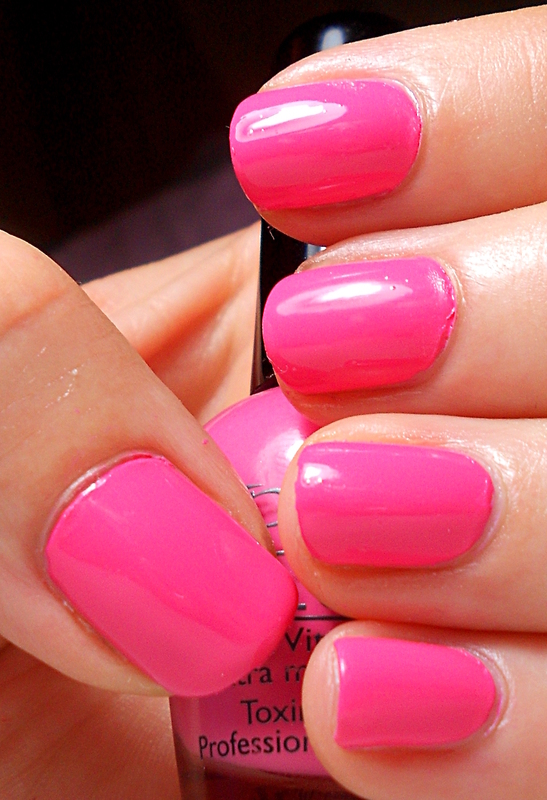 Sherbet Angel is the closest to Pink Lady, but it has a purpler undertone. 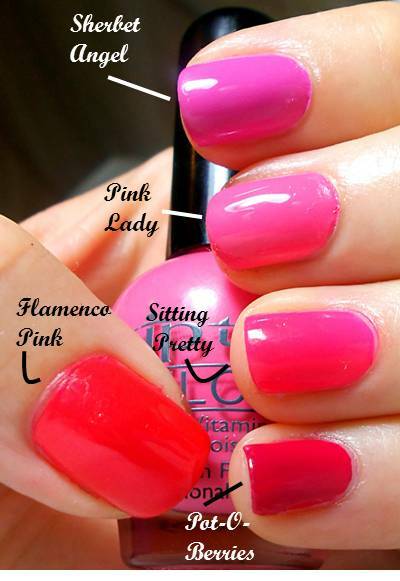 Sitting Pretty is the brightest of the bunch, while Flamenco Pink has a slightly more orange tone. Pot-O-Berries is the darkest, a reddish pink. 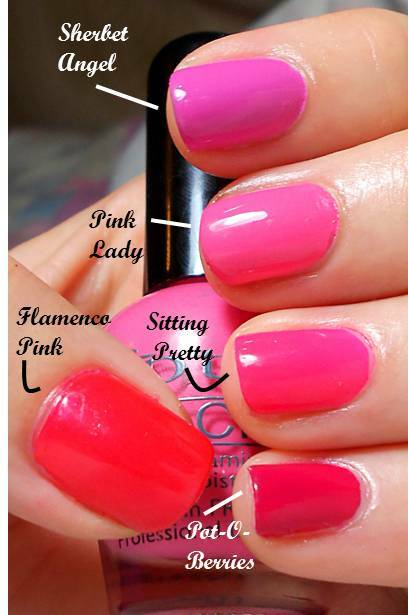 If you’re a pink lover, I can recommend all of these. 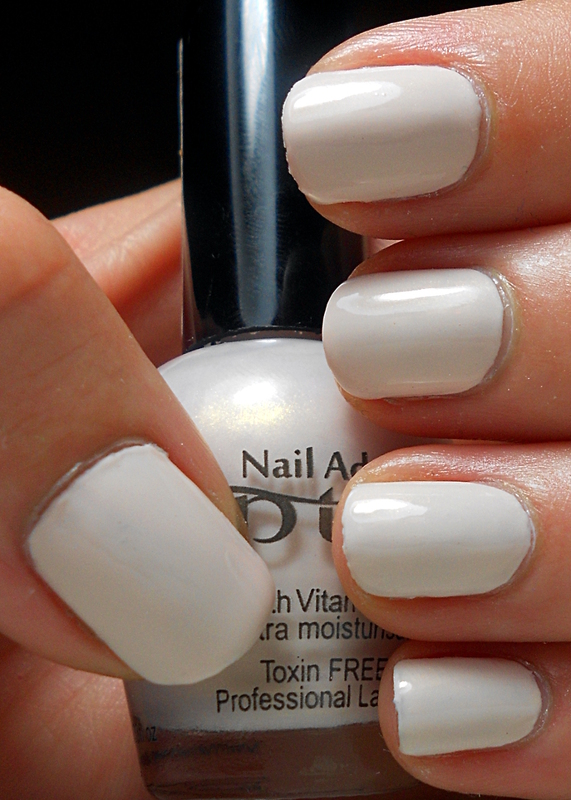 Every Tip Top polish I’ve tried has a great formula. 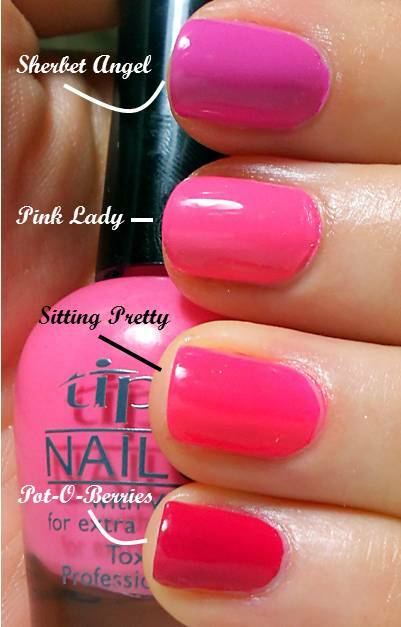 All of these looked great in just two coats – I did 3 for Pink Lady but really, it would be fine with 2 as well. 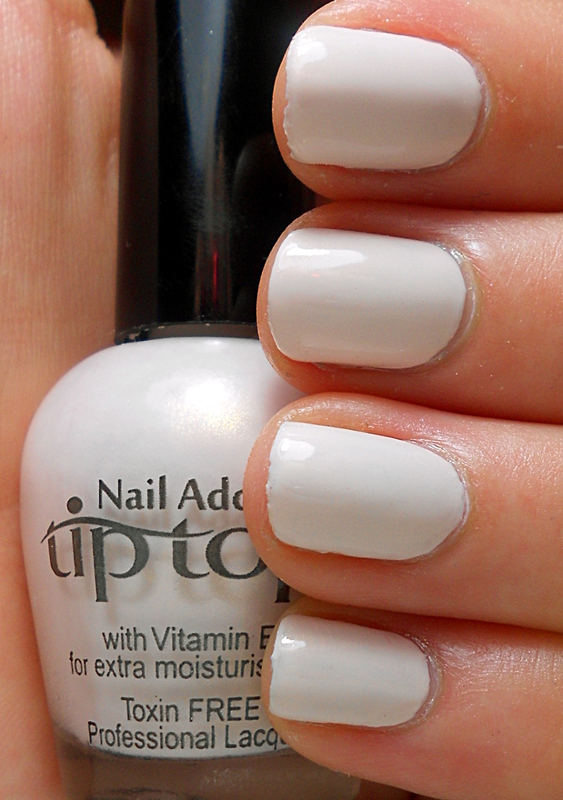 The final polish I received – and my personal favourite – was Nail Addict by Tip Top in Kingfisher. The photos don’t do this one justice. 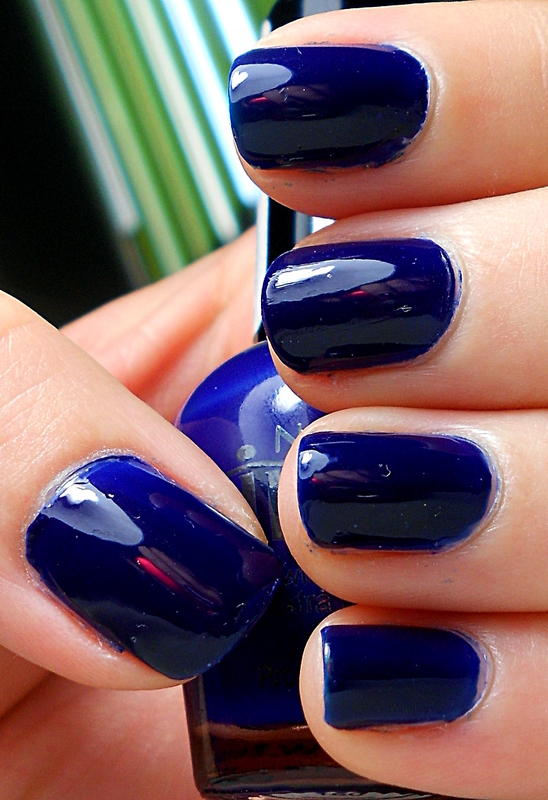 It’s a navy blue crelly, which gives it some more depth than a normal creme. It’s also super shiny. This does have a top coat, but the polish itself has an amazing shine. The red of my camera is reflecting off it! This is two coats (except my middle finger, which decided it wanted a third). I was so excited to unwrap this polish since I’d been wanting it for a while, I love it! Again, I’ve done a comparison. 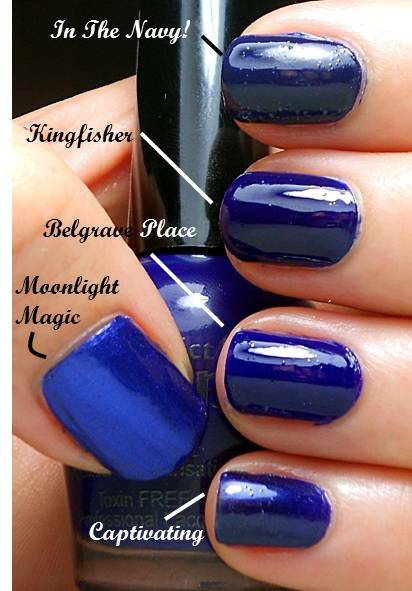 From left to right, these polishes are Yardley Quick Dry – Moonlight Magic; Tip Top Nail Chic – In the Navy! 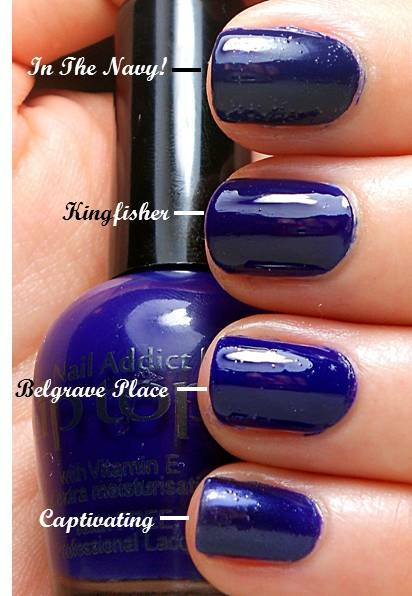 ; Nail Addict by Tip Top – Kingfisher; Nails Inc – Belgrave Place; Charlie Revlon – Captivating. 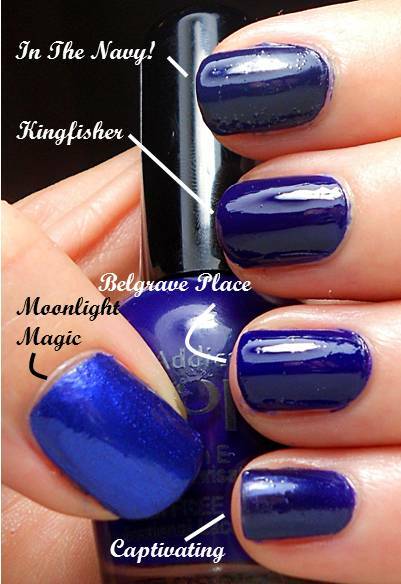 I’ve kept Kingfisher on my middle finger and done 2 coats of Moonlight Magic on my thumb, 2 coats of In the Navy! 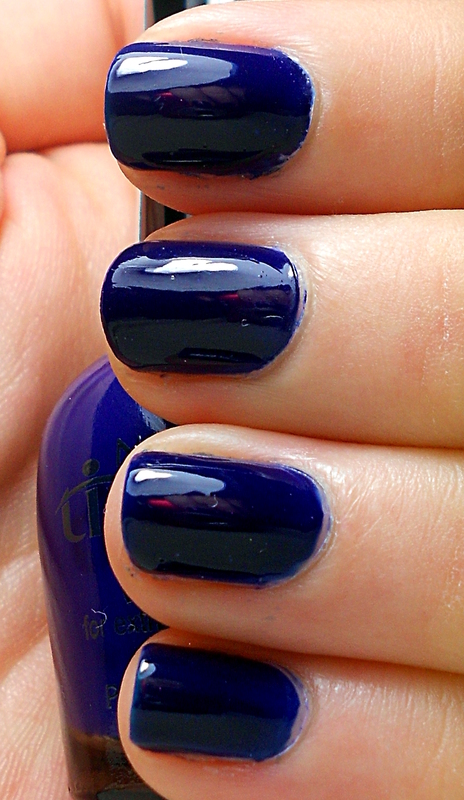 on my index finger, 2 coats of Belgrave Place on my ring finger and 3 coats of Captivating on my pinkie. 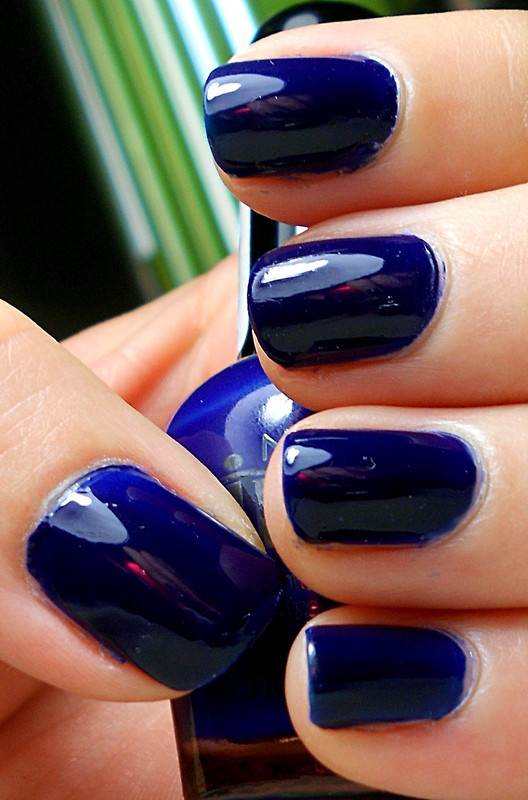 I had some bubbling with In the Navy!, but I haven’t had this problem before with it and I’m pretty sure it was my fault, not the polish’s. I was getting a bit tired so I applied overly thick coats. Belgrave Place was the closest match for Kingfisher, but it doesn’t have the same crelly formula that Kingfisher does, so to me it doesn’t have quite as much depth although it’s an amazing polish. In the Navy! had a slightly greyer quality, which doesn’t seem to come through it the photos but it was clear in real life. Captivating was a darker, black-based navy. Again, the difference was clearer in real life. Moonlight Magic was the most different one, it was considerably lighter in colour and had a different, more metallic finish. Kingfisher was my favourite of all of these. I hope you’ve enjoyed my first swatch and comparison post – would you like to see more of these types of posts? Don’t worry – I’ll still do nail art most of the time!